The DBS solar street lamp light system offers a unique opportunity to protect you step along highway and supply lamps that have the looks and style that will fit into any high class installation. These Bluetooth programmable solar powered lighting systems, can provide the flexibility required to self manage the times and brightness of the luminescence. 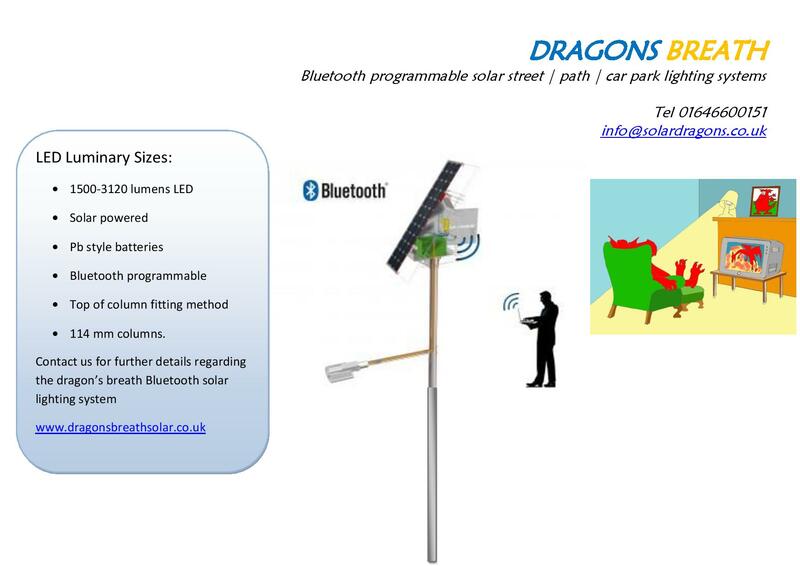 Solar street lamp for road highway's and car park lighting deliver optimum results onto smart phone or lap top computer. This solar lighting system is available in 24w @ 3120 lumens given scope for any project by remote control. 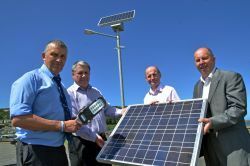 With the flexibility to offer a solar panel matched to the prerequisite.